Matt and I remixed Graceland a couple years ago but had never mixed it down and put it online. Until this morning, that is! 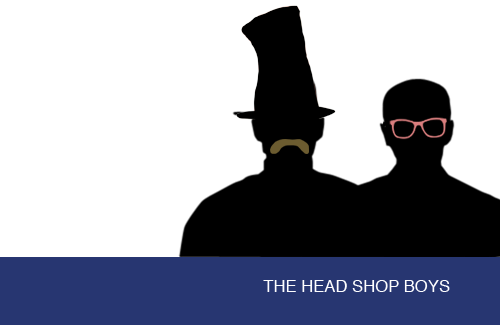 Click on the picture to go to theheadshopboys.com, or just scroll down and listen from here. But if you go to the website you can move around the moustache and glasses you see in the picture. It’s fun, and it’s the entire reason that whole stupid website is built in flash so that it just took me like two hours to figure out how to add a new mp3. Enjoy!